“There’s nothing like playing music to bring a family together,” says Sharon White, but that’s not exactly right; over 40 years have shown that the music of The Whites – sisters, Sharon and Cheryl, and father Buck – has just as much power to bring audiences together in a feeling that resembles that of one giant, extended family. The story of The Whites begins in Texas, when a young Buck White started his musical career not long after the end of World War II, working the dance halls and radio shows in a succession of bands. Honky-tonk music called for the piano and the bluegrass mandolin, and so he became proficient on both, absorbing the many varieties of Texas country and blues to fashion his own distinctive style – one that kept him in steady demand as a sideman throughout the 1950s. In 1961, tired of the rough-and-tumble life of a honky-tonk musician and wanting to raise his family in a more wholesome environment, White moved to Arkansas. Yet within a matter of months, he and wife Pat were once again making music, forming a band with another couple that eventually called themselves the Down Home Folks. As Sharon and Cheryl grew, they, too, were drawn to music (“Mama said I could carry a tune before I could talk,” Sharon recalls.) at first forming the Down Home Kids with the children of other Down Home Folks members in the mid-1960s, then moving up to join their parents in a growing number of bluegrass festival appearances. The first big turning point for The Whites came in 1971, when a successful trip to Bill Monroe’s Bean Blossom festival convinced the family that the time was right to move to Nashville and pursue a more serious music career. Though Pat retired from the band in 1973, the move paid off as Buck White and the Down Home Folks began their recording career, featuring the striking family harmonies and top-notch instrumental work that has characterized their music ever since. The remainder of the decade saw them make a steady ascent in the world of bluegrass, recording five acclaimed albums for various labels and working a busy touring schedule, even as they gained a toehold in the country music field thanks to their powerful vocals and broad repertoire. The former, in particular, attracted the attention of Emmylou Harris, who brought them in to sing on her Blue Kentucky Girl album of 1979 and then took them on the road with her as an opening act. The early part of the 1980s brought The Whites – by then renamed to reflect their family ties – to national prominence as their simple, traditionally-rooted yet dynamic sound put them on Billboard’s country charts with a succession of Top 20 hits. Favorites like their first Top 10, “You Put The Blue In Me,” as well as “Hangin’ Around,” “Give Me Back That Old Familiar Feeling,” and “Pins And Needles,” – the latter all produced by Sharon’s husband, Ricky Skaggs (the two married in 1981) – introduced them to new audiences, culminating in the induction as members of the Grand Ole Opry in 1984. The Whites first all-gospel album, 1988’s Doing It by the Book, earned the trio their first award, the fan voted Music City News award for ‘Best Gospel Album.’ In the 90’s, Buck and the girls produced the album Give A Little Back (1996), and were also busy touring all over the world, while maintaining a steady stream of Opry appearances and participating in multiple side projects. One of the projects was 1999’s Bluegrass Mandolin Extravaganza, which brought renewed attention to Buck White’s signature mandolin style, as bluegrass historian Neil V. Rosenberg recently said, “insiders have long known of his prowess.” Since then, The Whites have entertained and inspired literally millions of listeners at thousands of personal appearances with their unique sound. Their first release for Skaggs Family Records, A Lifetime in the Making, (produced by one of their former sidemen, the legendary Jerry Douglas) proved that once again The Whites are among the top ranks of artists able to combine a respect for – and mastery of – traditional country and bluegrass. Sharon said, “We’re always falling between the cracks when it comes to styles, but that’s just the way our music is. We have dobro, fiddle, and mandolin on this album, as well as some piano. It has the same kind of feel as those singles we made back in the early 1980s, but it’s as bluegrass as anything The Whites ever did.” Released in the fall of 2000, A Lifetime in the Making received substantial critical acclaim, winning an INDIE Award for ‘Best Country Album’ (2001), as well as a Golden Voice Award at CMA Music Festival’s third annual awards show in Nashville. In 2001, acoustic music blasted onto the mainstream with the smash hit movie and soundtrack, O Brother Where Art Thou? Buck and the girls were hand selected among bluegrass music’s finest to participate in the soundtrack and appear in the film. The Whites were recognized at the International Bluegrass Music Association’s (IBMA) Awards Show in 2001, where they won two awards including the well-respected ‘Album of the Year’ honor. In November of 2001, The Whites were recognized at the 35th Annual Country Music Association (CMA) Awards in the highly esteemed ‘Album of the Year’ category. Their involvement in the film and soundtrack brought further acclaim the following year, including the highest industry honor achievable – a GRAMMY Award – in the revered ‘Album of the Year’ category; as well as the ‘Album of the Year’ nod from the Academy of Country Music (ACM). Along with all the industry accolades, The Whites made numerous appearances in promotion of O Brother, including their involvement in the first 18-city ‘Down from the Mountain’ tour, a stop at David Letterman’s “Late Show” with fellow O Brother artist, Dr. Ralph Stanley, and a featured spot on the follow up tours – the 40 plus city ‘Down from the Mountain’ summer tour in 2002 and the ‘Great High Mountain’ tour in the summer of 2004. In 2006, they were awarded the International Bluegrass Music Association’s (IBMA) Distinguished Achievement Award for their contribution to the genre. After years of blending their voices from the living room to the stage, The Whites teamed up with Ricky Skaggs on Salt of the Earth (2007), their first collaborative effort, which earned them a GRAMMY Award for Best Southern, Country, or Bluegrass Gospel Album and a Gospel Music Association (GMA) Dove Award for Bluegrass Recorded Album of the Year. 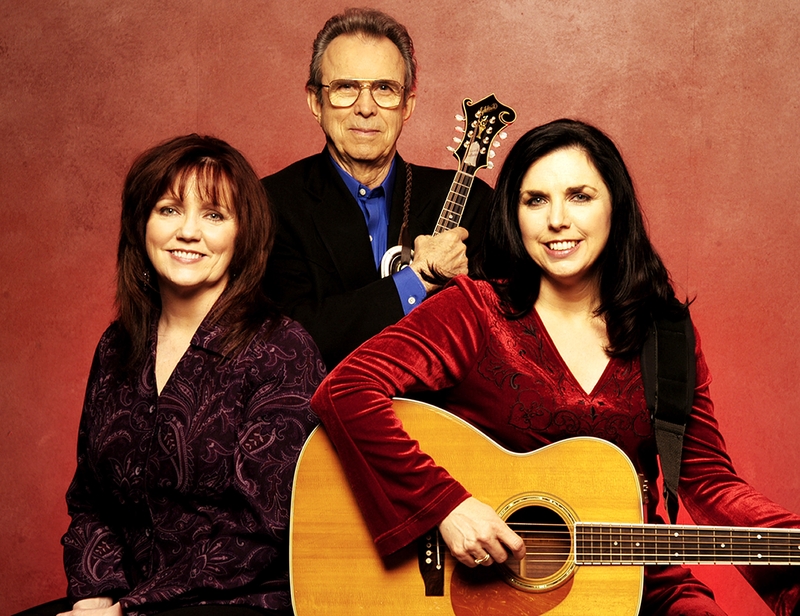 Buck, Sharon, Cheryl, and Ricky share lead vocals with Skaggs’ award winning band Kentucky Thunder laying the foundation for their tight family harmony. Traditional hymns, a few familiar favorites, and brand new treasures flow throughout the album providing an intimate look into the heart of one of music’s most beloved families. 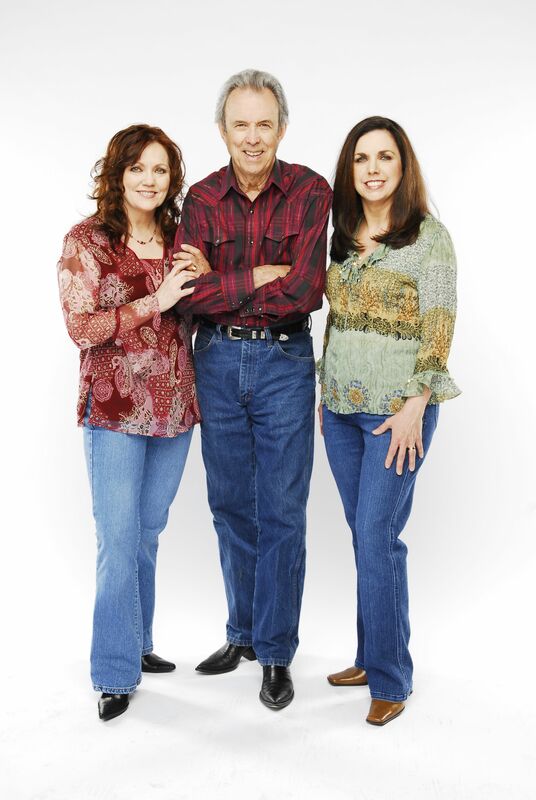 In 2008, proud Texans Buck, Sharon, and Cheryl received the ultimate honor from their home state with their induction into the Texas Country Music Hall of Fame. And they don’t appear to be slowing down anytime soon. Since 2003, Ricky Skaggs, The Whites and their children (respectively) have taken “A Skaggs Family Christmas” tour across the US, bringing together the love of family and the beauty of song. A Skaggs Family Christmas Volume One, the first full-length recording from the family, was released in 2005 to critical acclaim. Its follow-up, A Skaggs Family Christmas Volume Two, was released in 2011 also to critical acclaim and includes a live concert DVD. Both the CD and DVD were nominated for GMA Dove Awards, in the Christmas Album of the Year and Long Form Music Video of the Year categories.